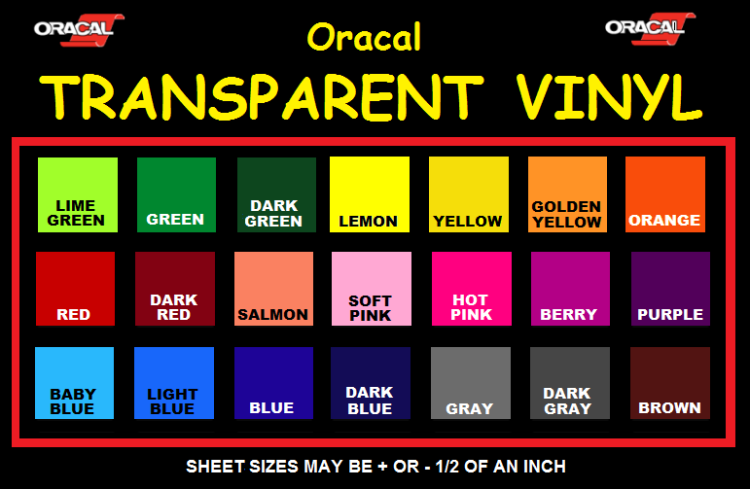 This vinyl is just like regular solid color sheets of vinyl, except this vinyl is see through. Works great outdoors, especially if you want to recreate the look of stained glass windows. It also looks beautiful on Christmas ornaments!